We use iPads here at Stamford Tent & Event Services for presentations which we've found to be very useful. Not only is it cutting edge and a great way to showcase our work and capabilities, but very adaptable as well. In the past we've used rather large picture books which looked nice, but were bulky and had reached their capacity for adding new photos. 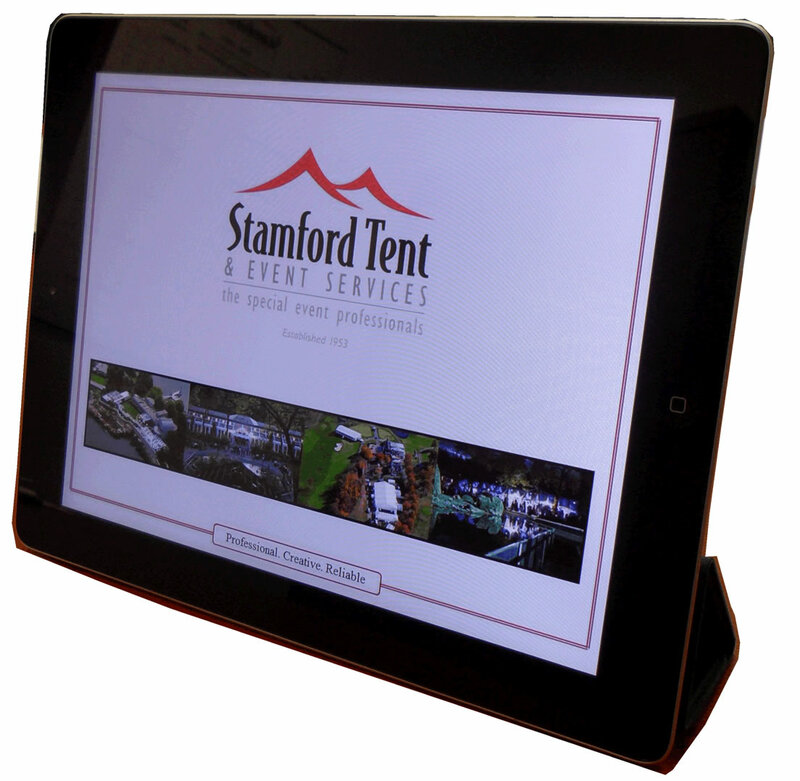 With the iPads, we've created a branded presentation which can be easily changed or added to whenever the need arises. Since creating the original presentation, if now one of our Rental Consultants finds that additional photos of "this or that" would be useful, even if it's custom to their particular client or job, it's no more difficult than adding an image to our format and syncing with iTunes. One challenge I'm dealing with now is regularly updating/syncing the iPads for our Rental Consultants at our Long Island location. iTunes only allows one-way file syncing from one "authorized computer". Since I had originally used my office desktop to do so, I can't sync those tablets on Long Island as easily as I can for those at our headquarters in Connecticut. I believe there is a solution, but we have also recently moved our data to "the cloud", which adds another variable. You'd think that would make it easier, but for a variety of reasons...it doesn't. I believe I have a solution though, with the operative words right now being, "I believe". In addition to our presentations and supplementing our Blackberrys with email access, we're also beginning to utilize certain apps to help become more efficient. We use a remote desktop app which allows us to connect to our corporate server, extending our office to any part of the country that we're working; or world for that matter. We've also tested a few apps to produce diagrams, collect data to quickly send back to our office staff and also a very neat speech-to-text app which helps when having to compose long emails or other documents when the iPad keyboard can become a bit cumbersome. 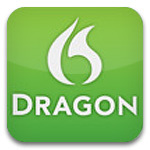 That app is called Dragon Dictation and is suprisingly accurate. I use it on my iPad and iPhone alike. Feel free to comment here on the blog or even better, on our Facebook page (www.facebook.com/stamfordtent) to share your experiences. There are so many apps available now and so many more ways we can use this tablet to differentiate ourselves and become more effective, that very often the best way to learn is to start a dialog with friends and colleagues!